Here are some videos of when Nicole appeared on QVC last month, just in case you missed it, want to see it again or couldn’t watch it! CBS News recently interviewed Nicole Richie. See what she has to say on fall staples, style, her new QVC line and more. CBS News: How did you come to work on this collection for QVC? Nicole Richie: I’ve been collaborating and selling my designs at QVC for a few seasons now, it’s been a great collaboration and I’m really proud of the collection we’ve built together. I find inspiration in my everyday life, music and travels. Is there a certain type of woman you envision wearing these clothes? I always keep the everyday woman in mind when designing this collection. I like pieces that are versatile and can work for different body types & styles. I always have key pieces in my closet that can easily transition from day to night, whether I’m in mum-mode or going to work meetings. How does this collection differ from others you’ve worked on in the past? 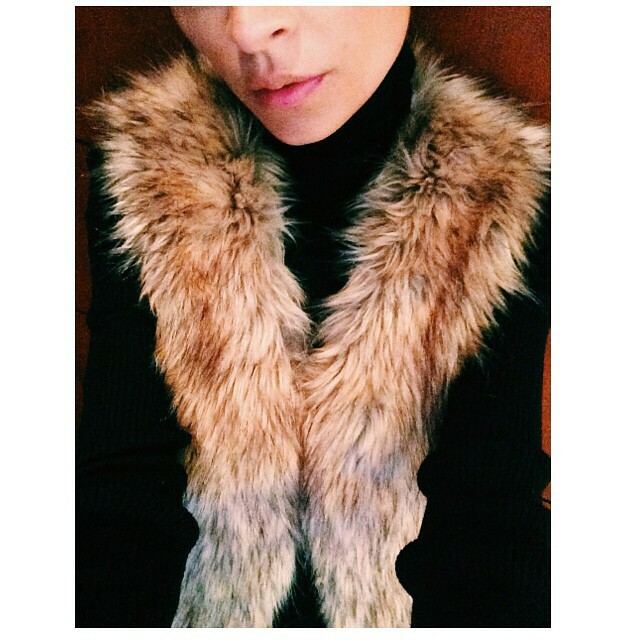 We have a faux fur piece in this collection, which is definitely a new direction. We’re always trying to keep the collection fresh while still staying true to the line. What trends do you see being big for fall? I don’t follow trends, I think they can be limiting as far as developing your own personal style. That said, a great leather jacket and oversized sweaters are fall staples for me. Do you have a favourite outfit or item in your closet? I have a black knit dress that is in rotation all year. “Candidly Nicole” just finished its first season on VH1 — have you been pleased by the reception it’s gotten? It’s really been so amazing, I’m really proud of the show and excited that we got picked up for a second season. What’s next for you? What other projects are you working on? I’m currently shooting season 2 of my Web series and will soon start shooting season 2 of the Vh1 series. You’ve experimented with so many different hair colours and looks over the years — is there anything you wouldn’t try? I’m always game to try anything! 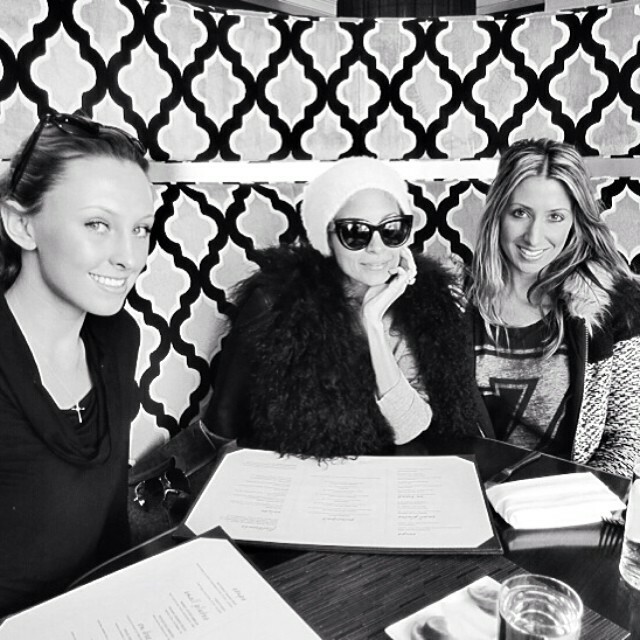 Nicole Richie recently shared a new post about the Nicole Richie Collection for QVC on Facebook. So many pieces in my QVC collection are versatile and I love that I can mix and match. I like wearing the Faux Fur Vest over the Cropped Leather jacket give it a completely different vibe, transforming the look. Sneak preview of the pieces here http://qvc.co/NRCollection. Finishing touches with Beau Nelson. 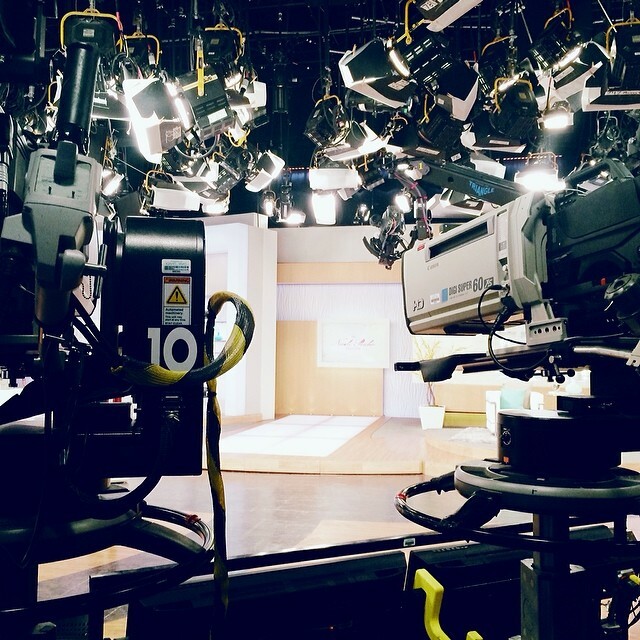 It’s showtime over at QVC. Click here for a live stream for those who cannot watch on TV. 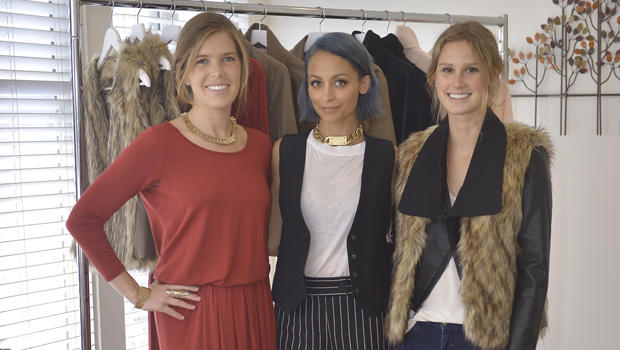 Nicole Richie is on QVC launching her new collection! I absolutely adore her hair and what she’s wearing, she looks lovely! Credit for the photo above goes to NRrichesforless. Head over to her Twitter for more pictures if you can’t watch it live from home!